Resilience is frequently discussed in the fields of Education, Psychology, Personal Development, Health and Business today. 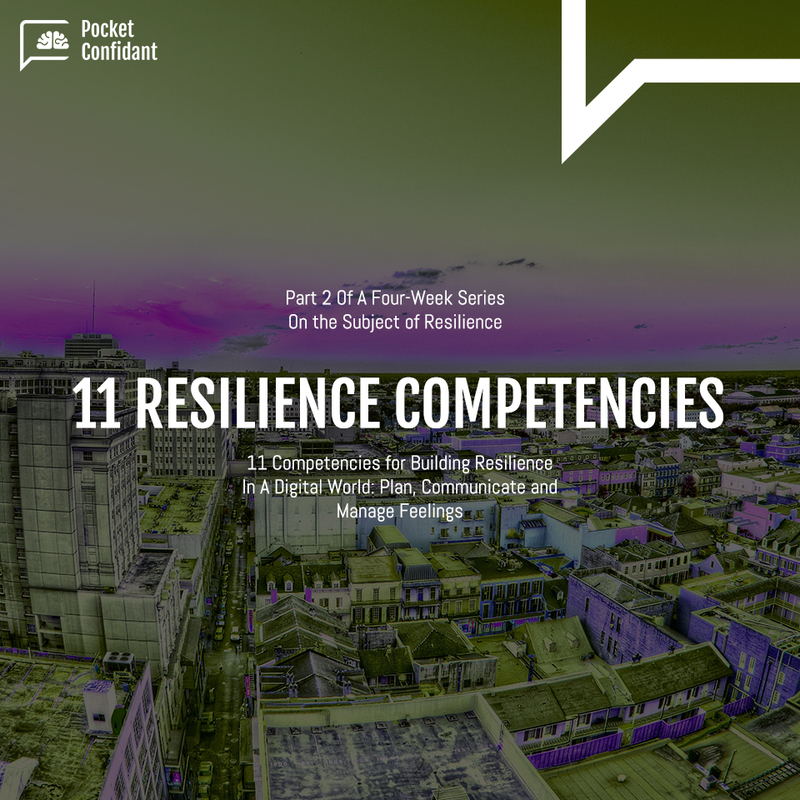 In Part 1 of a four-week series on the subject of resilience we introduced this important concept to our readers and shared our thoughts on how it could be brought to millions of people around the world. Personal resilience and resourcefulness are developed day by day as we deal with difficulties and challenges, some much more severe than others, but all valuable in helping us to build our resilience muscles. Being able to see what is rather than what you would like, being proactive rather than reactive – e.g. taking a course to learn a new skill. Making plans and seeing them through requires internal motivation, clarity and purpose. It is easy to get so involved in the familiarity of our current situation and its difficulties that we don’t take time to stop and reflect on where we are going and if we are heading towards our desired destination. Aligning our desires and the reality of the situation requires digging deep to be sure that before we start we understand exactly where we want to go, why, who we want to take with us and what, if any, financial or emotional cost is involved. Many of us did not learn the tools we need to ask ourselves these important questions, which, when worked with bring illuminating answers. Today with a simple smart system we can help individuals build their customized plans and find the motivation and the clarity of purpose to achieve them. Communication, listening and problem-solving e.g. working as a team member within your community. These are skills of “emotional intelligence” that can be learned. Effective communication with oneself requires self-knowledge, tolerance, non-judgment and patience, and as we extend this skill to working with others, it requires the same criteria; non-judgment especially of those who are different from us, focused listening, and an ability to put ourselves in the other’s shoes. These skills we can learn through working on them for ourselves and for our own benefit. Through PocketConfidant’s questioning system, the user is continually “learning” and “honing” their own skills through self-distancing, understanding better what the ‘real” issues are, and formulating problem solving strategies to deal with them. As we learn how to better understand ourselves we are able to transfer this learning into empathy and compassion for others and their journeys, and improve our communications skills and problem solving skills for ourselves and with others. Take action without being impulsive and responding out of emotion; putting emotions aside when clear thinking and action are required; use thinking as a way of managing one’s emotions, e.g. when you’re angry or hurt thinking before acting. We all experience strong feelings; it is part of being human. It is how we respond to these feelings that is important. Do we react as soon as the wave hits, or do we stop, reflect and act with good judgment fitting the situation? It is often neither appropriate to bottle the feelings up and stuff them away or to let them out to explode and run wild. Understanding them and being in control of them is the path forward, sometimes putting them aside to be dealt with later. With technology, we are building a neutral, influence-free space where individuals can explore their emotions, diffuse the intensity of negative feelings and find supportive products and services; enabling everyone to address and question strong feelings in real-time and find the best, most constructive way of understanding and dealing with them. We trust you have enjoyed this second part of our article on resilience. We would love to hear from you, whether you are a follower of tech and the current conversations around Artificial Intelligence, or if you have never considered the potential of applying Artificial Intelligence in such a context. What are your thoughts? How does reading this article make you feel? Have you encountered some of the situations or skills that are mentioned here? Are you a mobile device user trying to solve personal and day-to-day life issues on your own? How do you feel about the fast pace and constant development of science and technology? Stay tuned for next weeks’ series. Contact us to share any thoughts, we will read with great curiosity and interest.